A stop off at a geothermal spring is on the itinerary of most tourists visiting Iceland. Let’s take a look at the two most traveled venues. The famous, water park-like Blue Lagoon and the lesser known but more remote and picturesque Myvatn Nature Baths. Both are open year round, from early morning till late, even in winter. Their geothermally-heated water comes via nearby power stations. A word of caution: some compulsory naturism is required for both venues to keep the water as clean as possible. You must shower completely naked before entering the water itself. There is some privacy available if you seek it out, but you may find yourself scrubbing clean in a packed communal shower possibly containing some naked and unabashed European stereotypes. Located towards the north east of the country, the Myvatn Nature Baths are a 489km, 12-hour drive from Reykjavik. 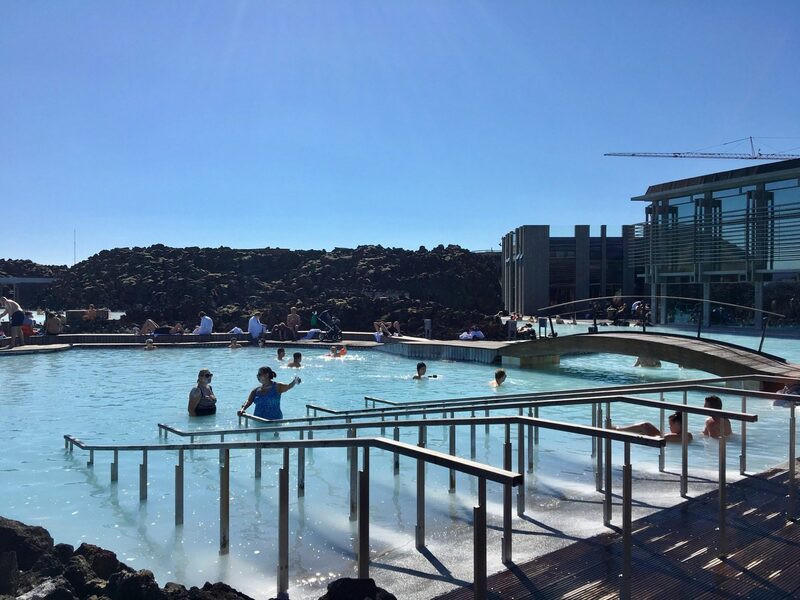 The scenery at the Baths is rugged and relatively unspoiled, compared to the arguably over-commercialized spa-like Blue Lagoon, with spectacular views over Lake Myvatn. The entrance fee varies depending on the time of year: ISK4300/US$43, including VAT and service charges, from May 15th to September 30th, and ISK3800/US$38 on dates outside of that range. There are discounts for the disabled, senior citizens and students, as well as teenagers (defined as those between 13 and 15 years old). Towels ISK700/US$7, swimsuits ISK700/US$7, and bathrobes ISK700/US$14 are also available for rental. The amenities in the beautifully located baths consist of the lagoon itself and steam rooms. There is both indoor and outdoor seating with free Wi-Fi. The busiest visiting times are in the afternoons. After your soak, you can stop by the Kvika restaurant, open from 12 pm to 8 pm, although the salad, along with sunlight past 3 pm, is not available during the winter. Kvika has many Icelandic staples including the infamous ISK900/US$9 small bottles of beer. Those on a budget can feast on ISK300/US$3 tubs of Skyr, a type of Icelandic cheese-like yogurt made from skim milk. Skyr is a naturally fat-free milk product and is thicker and sweeter than regular Greek yogurt. The Myvatn Nature Baths are nowhere near as crowded as Blue Lagoon. 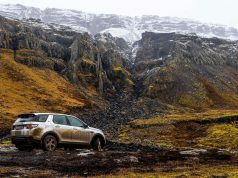 They are also significantly cheaper and more laid back due to its remote location in northeastern Iceland. There are three pools, each with a different temperature, and the water is clean and warm, making your skin feel silky smooth and soft. The lagoon has a natural rock bottom, which is nice on your feet, and preferable to mud in other geothermal pools, and concrete at the Blue Lagoon. It is well run, the location and the bath itself are beautiful, and as a bonus, you generally won’t encounter tour buses as you would at Blue Lagoon. There is quite a noticeable sulfur smell in the air, and there can be slimy algae on the sidewalls and submerged rock seating. At busy times there may not be enough lockers for everyone. There are occasional reports that locker rooms are dirty due to crowds, but in general, they are kept clean, although sometimes people don’t follow the cleanliness instructions. You can’t pre-book tickets, so the only viable option is to walk in and hope it’s not crowded. There is no bar in the water, but the servers are speedy to get to you and bring you a beverage from inside. The newer facilities were built without any specific places for visitors who may have mobility issues. Bear in mind you can visit numerous local pools around Iceland for IKR550-600/US$5.50-$6; you may find the IKR3800/US$38 very expensive for what you get. But in comparison to the Blue Lagoon, the price is extremely reasonable. One of the 25 Wonders of the World according to a 2012 issue of National Geographic, the Blue Lagoon is situated 47km, a 40-minute drive, from Reykjavík itself, and just 23km from Keflavik International Airport, making it a common initial destination for those arriving. It is a spa experience, although it can feel like a water park at times, and caters a clientele that is a mix between tourist and higher-budget. It is often the first stop for tourists in Iceland, with many visitors coming directly from the airport in uses. Those doing so can put their luggage into safe storage on-site. The blue color of the water comes from the silica reflecting sunlight, similar to how the sky appears blue. There can also be a slight greenish tinge to the water in the summer due to algae growth. However, like the silica mud mask offered here, the water itself is milky white. There is a powerful human-made waterfall to relieve soreness and stiff muscles from long flights or travels. Free Wi-Fi is available throughout the Blue Lagoon, and there is also a cafe and a meeting room available for hire. The entire facility caters for the disabled with elevators, electric buttons to open doors, a pool access lift, and water-friendly wheelchairs available, which can be used in the shallower areas of the lagoon. The Blue Lagoon has a 4-tiered pricing structure that must be pre-booked in advance. The standard package gets you entry plus the great silica mud mask for ISK6100 or around US$61. This beauty treatment consists of a white clay mask, which is available at the lagoon bar, which you wash off after five minutes, leaving your skin feeling soft and smooth. Like the Myvatn Nature Baths, towels and bathing suits are both priced at ISK700 or US$7, and bathrobes and slippers are ISK1400/US$14 each. The comfort level tickets for ISK8100/US$81 come with an algae mask, use of a towel, and a free drink. The most popular ticket is the premium level (this is what we got) where another US$20 or so, at ISK10200/US$102, gets you a bathrobe, the option of dining at the Lava restaurant, and the accompanying sparkling wine with your meal. Can you put a price on privacy? Well, Blue Lagoon has, as finally there is the Luxury option which, as well as the premium options above, includes a private changing room for two people. The Luxury option also includes the use of an executive lounge with fireplace, their Spa Journey Product Set, an attendant, and direct access to the lagoon for ISK53000/US$530 for two people. The Blue Lagoon has a flat, pool-like bottom and is quite deep at almost chest depth. The staff is friendly and helpful. Clean, secure, electronic lockers are accessed using a waterproof wristband, and the shower rooms include private or semi private facilities. Water temperature varies in the lagoon. Plenty of employees wade around in the lagoon with iPads, taking complimentary pictures that are emailed to you almost immediately. There is free hair conditioner, the location is beautiful, and there is no sulfur smell. The expense! Although the basic package is adequate, the staff persistently attempt to upsell everything, so at times the Blue Lagoon can feel like a tourist trap. 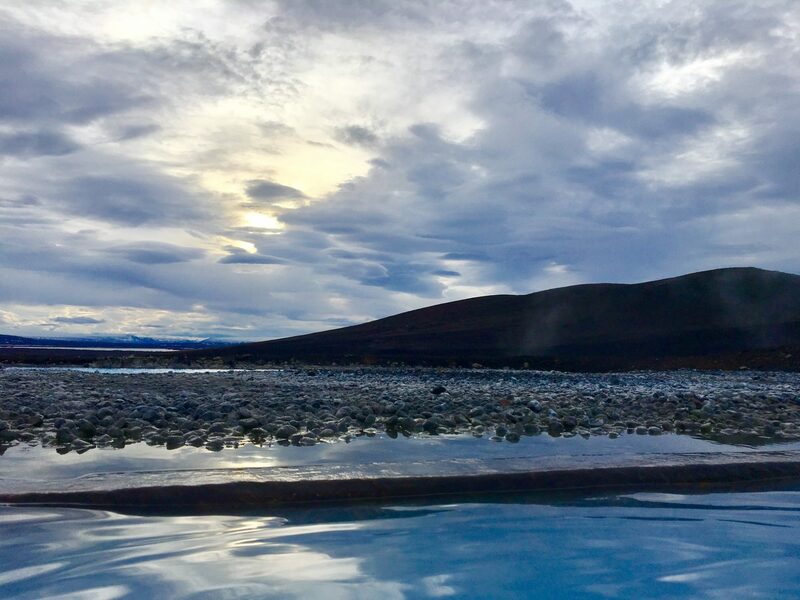 For the adventurous, it’s possible to find some cheap or free hot springs in the beautiful surrounding area which you may have all to yourself so that the Blue Lagoon could be seen as vastly overpriced and fairly underwhelming. 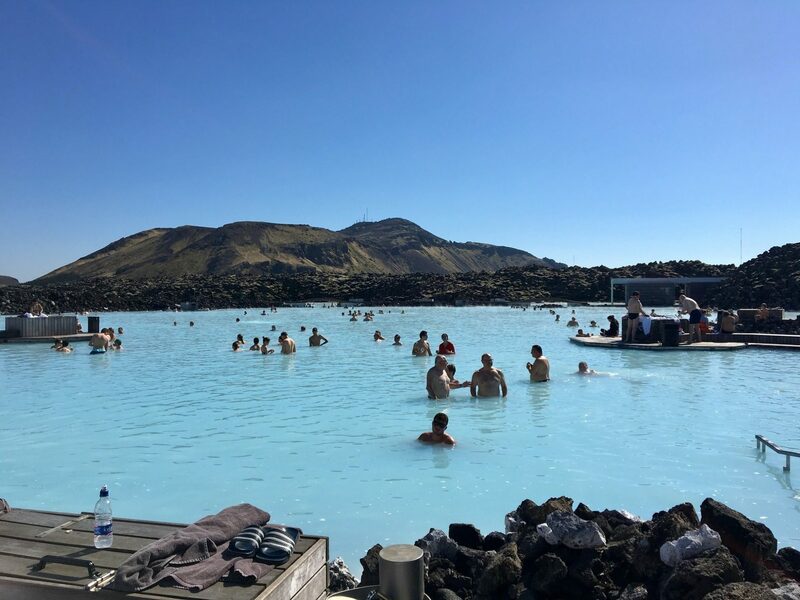 Long tours sometimes will include a visit to the Blue Lagoon. 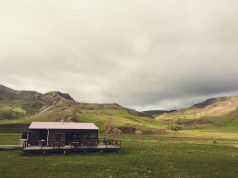 Iceland is becoming a popular destination, and many tour buses drop off large groups immediately after their flight lands, so it can be extremely crowded at times. Your hair can turn into straw for days after despite using the Blue Lagoon conditioner before and after entering the water. It can be very noisy, and it is advisable to book well in advance, and unfortunately, the Blue Lagoon does not have the spectacular views one would experience at the Myvatn Nature Baths. Remember, you are not limited to these two options. 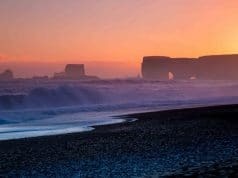 Iceland is ripe for exploring with its spectacular landscape and geological features. A sense of adventure could yield the picture perfect, deserted, and free hot spring such as Reykjadalur.